Manufacturers continue to push the boundaries of ballistic performance when designing ammunition. They use both in-house and FBI testing to determine where to make improvements and how to best meet the needs of law enforcement officers and agencies. Ammunition trends are determined by multiple factors including technology, reliability, and ease of use. Many calibers may be fun to shoot on the range, but not all of them are practical for use on duty or for off-duty carry. Right now, 9mm is quite popular because it is a versatile caliber, and advances in the technology used to make it have improved its performance. But that doesn't mean other calibers are disappearing or that they aren't suitable for different missions. "While many law enforcement departments and agencies still use .357, .40, and even .45 caliber guns, most have already switched or are switching to 9mm," says Joel Harris, SIG Sauer's director of media relations and communication. In October 2015 the FBI announced that its agents would again be carrying 9mm pistols instead of .40 S&W. Harris believes this announcement, and the FBI's release of a study detailing their findings on the rounds, was a major cause of what he calls the "immense resurgence" of the 9mm round since that time. "I would say that at this point the 9mm round is the most widely used round in domestic law enforcement, and the developments made to the 9mm bullet have improved its effectiveness for law enforcement purposes," Harris says. "A lot of it comes down to bullet construction and bullet design parameters over the last 10 to 20 years," explains Jared Hinton, the communications coordinator for Federal and Speer ammunition. Companies like his have continued to experiment with different materials and techniques to improve the performance of 9mm ammunition. Examples include Federal Hydra-Shok and Speer Gold Dot, which are products that continue to evolve. 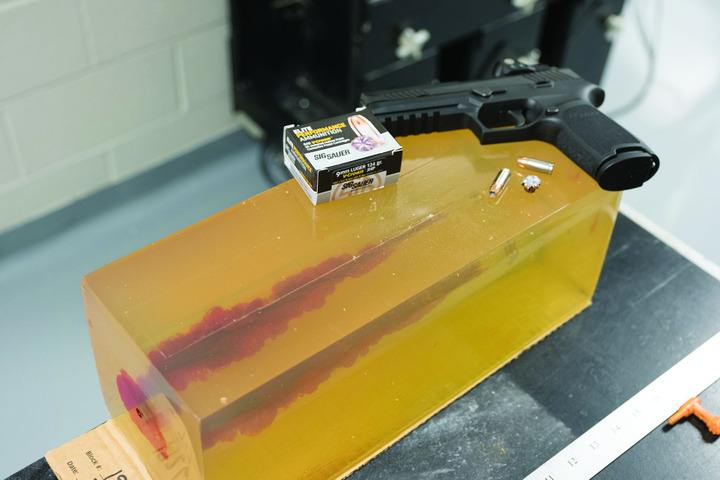 One of the driving forces behind these changes has been FBI testing of ammunition performance. Spurred on by a desire to improve testing results, Federal and Speer have worked together to create a process used in bonding lead cores to copper jackets. Hinton says, "This results in more consistent expansion of the bullet and more consistent penetration into the target. It's something we're continuing to explore as we go forward." A major benefit of the 9mm round's design is reduced recoil, providing a tactical advantage. 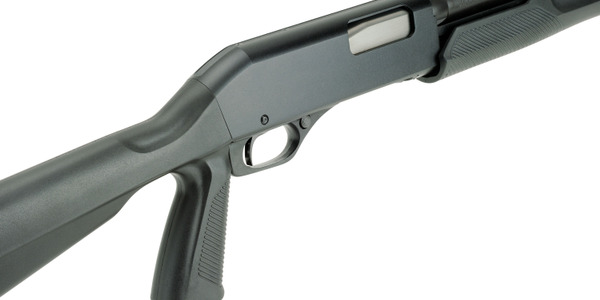 Reduced recoil allows for faster target reacquisition. Harris explains that this lower recoil also creates less recoil anticipation, which creates more accurate and faster follow-up shots. This results in better shot placement, even while moving, which is important to officers on the street. This benefit also translates to better qualification scores, Harris says. 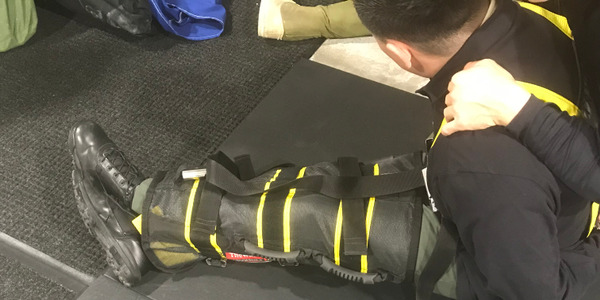 "Most agencies have gone away from static shooting to more of a 'combat' style, where movement is incorporated while shooting the qualification course." As increased recoil can cause difficulty for officers of smaller stature, more controllable recoil also makes the 9mm round accessible to a wider range of officers, adds Hinton. Many shooters appreciate that the reduced recoil of 9mm rounds tends to allow for more accuracy and faster follow-up shots. Another factor in the popularity of the 9mm round is driven by practicality. It's smaller, and therefore officers can carry more of it with them. Any officer will tell you that having more ammunition on hand is always a good idea just in case you need it. In addition, as trauma surgeon and tactical medical expert Dr. Sydney Vail noted shortly after the FBI made the change from .40 S&W in favor of 9mm rounds, "Having more rounds in your pistol's magazine increases the potential for accurate shots. Hence the FBI chose to make the change to the 9mm round, which usually offers a higher round count per magazine, faster and more accurate follow-up shots, less perceived recoil, and very similar physical bullet characteristics to the .40 S&W." As 9mm becomes the caliber of choice for law enforcement agencies and individual officers, other once popular calibers are falling by the wayside. For example, SIG's Harris says a combination of factors including price and availability have led to the "demise" of .45 GAP as a law enforcement round. He notes that it was never widely accepted in law enforcement, but it was used by several large police agencies domestically. "I think there's been a real drop in recent years in .38 special and .357 Magnum," adds Hinton. 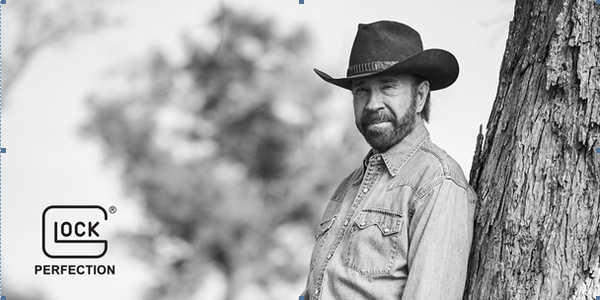 "And obviously revolvers as a whole are not the choice of most law enforcement agencies because of low capacity." He also notes that almost no one carries revolvers anymore period. Just five to 10 years ago, it was still common for officers to carry revolvers as backup guns on duty or for concealed carry off duty. 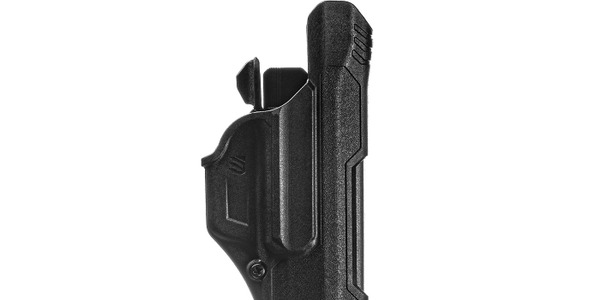 But now they have better options because of improvements in firearm construction and the double-stack 9mm trend. A variety of calibers are still being used by law enforcement agencies and individual officers, despite the popularity of the 9mm. Hinton is confident that .45 ACP and .40 S&W will continue to be popular enough that they'll stick around for the foreseeable future. And although the .40 caliber round is being replaced in large numbers by the 9mm round, Harris concedes that the .40 is still "somewhat popular in domestic law enforcement," so it might have a chance. One caliber that is gaining ground, especially among specialized units, is the 10mm. To capitalize on this trend, Federal is introducing a new 10mm round, which Hinton describes as a 200-grain HST bullet that "should be a fullpower load at 1,130 fps." 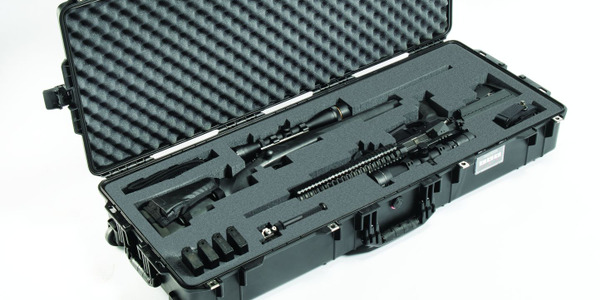 There may be recoil concerns for some shooters, but it could be a good fit for tactical teams. 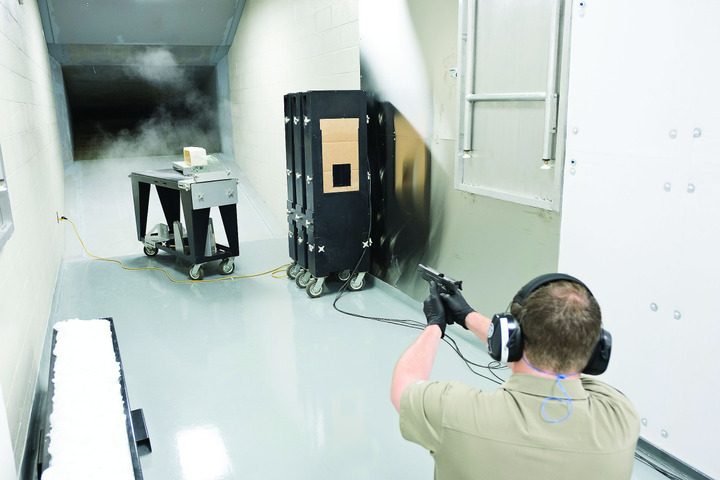 "As metallurgy and other technologies improve on the firearms side, it's much easier to make 10mm at an affordable price that are officer capable," says Hinton. Which is why so many firearms manufacturers have been coming out with weapons including handguns in this caliber in the last few years. Consumers often take their cues from law enforcement when it comes to popular calibers, but law enforcement tends to be heavily influenced by military ammunition trends and innovations. With the military's increased interest in firearms designed for the 6.88mm round, it will be interesting to see when law enforcement might adopt this caliber. Dr. Vail sees potential for law enforcement use of 6.88mm rounds because of its better wound ballistics profile compared to the 5.56mm. "Inflicting more damage could reduce the need for perfect accuracy in the chest/torso area, which has always been the point of contention of all ammunition," he says. "Accuracy trumps caliber but with these larger rounds, that primary concern can be somewhat reduced." There are tactical teams that have already adopted the 6.8mm round, but it has not been widespread, according to SIG's Harris. This could be due to the proliferation of the 7.62 round as the primary precision round used by law enforcement, and the fact that most agencies have plenty of it on hand that's already been paid for. Another factor could be that there is a greater variety of loads available to law enforcement in 7.62 than in 6.8mm. But then law enforcement is traditionally slow to make any changes, including adopting new ammunition. "We wouldn't expect to see a speedy change over existing M4 platforms in service," Federal's Hinton says. This is even the case when another round proves more effective, says Harris: "Many special mission units within the U.S. Military have adopted the 300 BLK with great success, yet it has seen only minimal adoption by police tactical teams, despite its ballistic advantages in CQB over the 5.56. When suppressed the 300 BLK offers significant sound reduction that is even less than a suppressed 9mm, over the 5.56." It seems the 6.8mm round won't likely become widely adopted by law enforcement anytime soon, but ammunition trends are always changing, as evidenced by the current popularity of the 9mm.